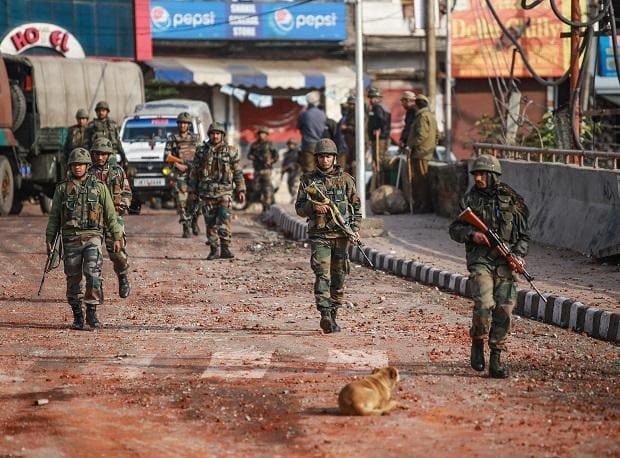 "Curfew continues to remain in force in the city and there is no untoward incident reported during the night or this morning," Inspector General of Police, Jammu, M K Sinha, told PTI. "The situation is being monitored and a decision to relax curfew will be taken later in the day after a fresh review of the situation," he said. Sinha along with Divisional Commissioner, Jammu, Sanjeev Kumar Verma and district development commissioner, Jammu, Ramesh Kumar held a marathon meeting with prominent citizens of different faiths here late Saturday evening. "Anti-national elements have a design to divide people. They want to change the narrative of a terror incident into a communal incident. We need to stand up united and do not fall prey to their propaganda," the IGP said addressing the meeting. He said there is a need to look deeply into the Thursday's terror attack on CRPF convoy. "There is a game plan behind the killing of our jawans and it is to divide the society," he said, asking participants to guide and counsel youngsters to stay away from the violence and help the administration catch those persons who are trying to vitiate the peaceful atmosphere in the region. "Helicopters and UAVs of Army also put into operation to monitor the situation. The proactive approach jointly taken by J&K Police, Civil administration (Divisional Commissioner and District Collector's office) and Indian Army has ensured the situation in control," a defence spokesman had said. "The police acted promptly and the situation was brought under control," he said. Reports of peaceful candlelight protests were also reported from almost all district headquarters across Jammu region Saturday night to pay homage to martyrs.